Br. 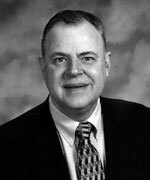 Robert C. Ruhl, CSV, died on February 2, 2008 at the St. Viator High School residence. Br. Ruhl was 60 years old. He was born in Evanston, Illinois on March 18, 1947, the son of Adolph and Dorothea Ruhl. His parents preceded him in death. 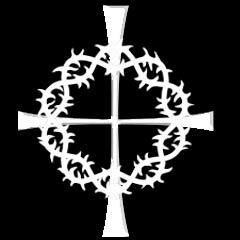 He is survived by five cousins: Joseph Fleischmann, Dolores Zelasko, Robert Smith, Richard Bauer, and Hellen Bauer. Upon graduating from St. Gregory High School in Chicago, where he was taught by Viatorians, Br. 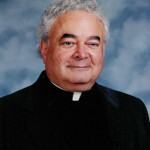 Ruhl entered the Clerics of St. Viator in 1965. He pronounced his first vows on September 1, 1966 and final vows on August 31, 1969. He earned a B.A. in English and French from Loyola University (1970) and an M.A. in English Literature from the University of Chicago (1973). Br. Ruhl was assigned to teach at St. Viator High School in Arlington Heights in 1970. With the exception of the 1972-1973 academic year, during which time he studied at the University of Chicago, he taught at St. Viator High School until the time of his death. During his more than 36 years at the school, he also served for a time as the manager of the school bookstore and chairman of the English Department. Having taught thousands of St. Viator High School students, Br. Ruhl had earned legend status at the school. Numerous memorials have been written in his honor on Facebook, an internet website popular with youth and young adults. Visitation was at the St. Viator High School Boler Center on Thursday, February 7 from 2:30¬-7:30 p.m. A wake service was held at 7:30 p.m. The Mass of Resurrection was celebrated on Friday, February 8 at 12:00 p.m. at St. James Catholic Church, 820 N. Arlington Heights Road, Arlington Heights, Illinois. There was a short visitation before the funeral Mass in the church from 11:00 a.m.-12:00 p.m. A luncheon was served in the cafeteria at St. Viator High School after the Mass. Interment was at Queen of Heaven Cemetery, 1400 S. Wolf Road, Hillside, Illinois immediately after the luncheon.